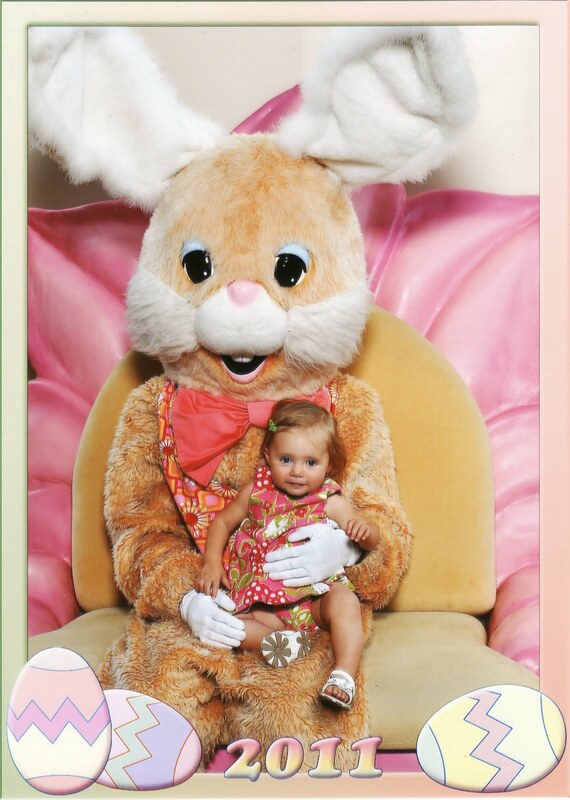 Lila was too little last Easter to visit the Easter Bunny (she was exactly 2 months old on Easter Sunday), so this was her very first time to sit on the Easter Bunny's lap. She loved him and loved his big pink bow tie. After the pictures were over, she didn't want to leave and kept talking to the bunny while I was getting her back in her stroller. This Easter is so much fun with her being 14 months old!